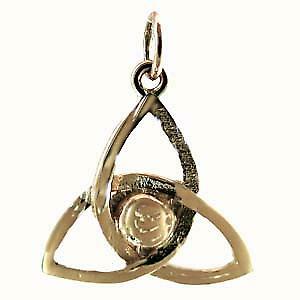 9ct yellow gold Trinity knot pendant. Made in Birmingham, hand polished it comes to you carefully prepared in a black leatherette gift box. This price does not include a chain.